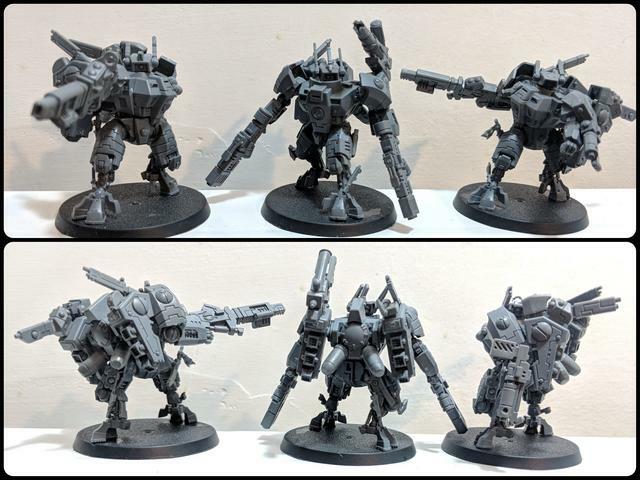 Small beginnings of an army of all drones and battlesuits, just for fun. Got my first crisis team done, minus a little Gap filling and moldline cleaning. 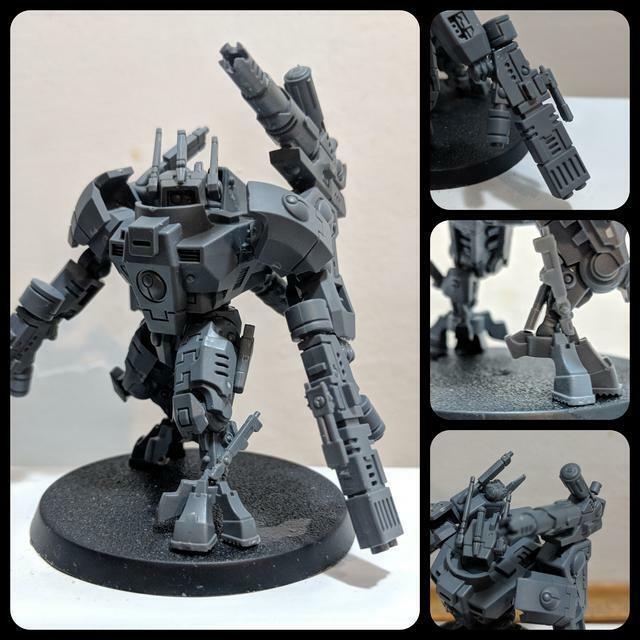 I made lots of little mods to the battlesuits, and had a lot of fun playing around with the crisis kit. 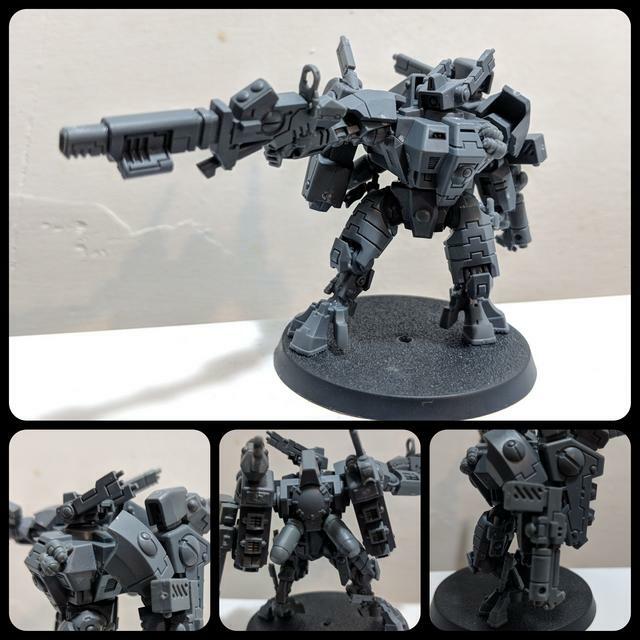 Look for a coldstar coming soon. Those are amazing, well done sir, well done. Thank you for your comments. And please steal away, I don't that flattering. If you have any questions about the alterations to the weapons just let me know and I can break down what they're made of. The hardest bit it's the hands. While they fit, enforcer hands look wildly out of proportion with the rest of the suit, giving a cartoonish look. I really wanted to about that. Solution: wraithblade hands. Perfect size and right number of digits. The commander is, for the Tau, uncommonly aggressive. 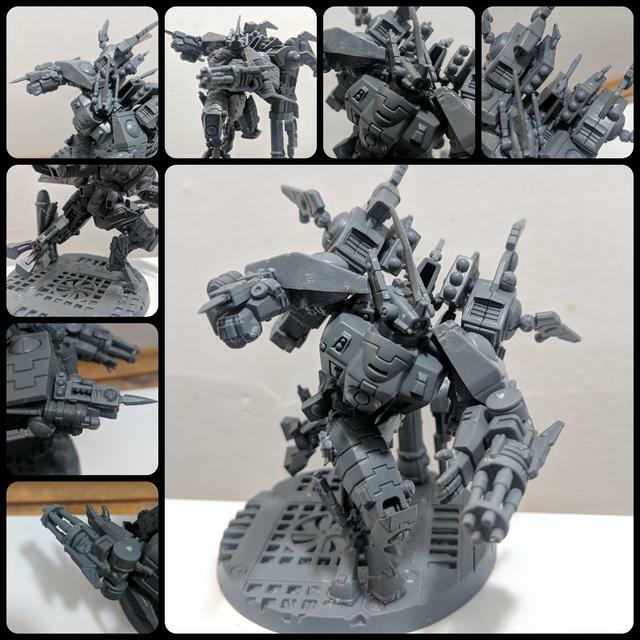 Preferring short range engagements, Beowulf Pilots a failed prototype of the Coldstar battlesuit that only he has been able to master. The design, plagued with issues caused by it's eccentric designer such as poor weight balance and it's inclusion of the archaic Rail Driver close combat weapon, is nonetheless a potent machine in the hands of a truly skilled pilot. Fans should know right away who this was inspired from. Fluff helps drive that home. Though it also has elements of Epyon and the Wing gundam. 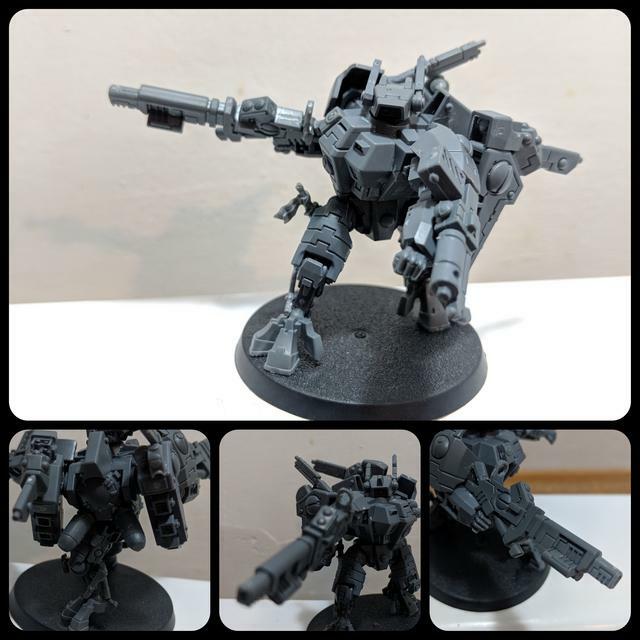 Those weapon conversions (on your crisis team) are on point. I love the crisis carrying crisis sized infantry like guns look. Edited by Trevak Dal, 07 September 2018 - 08:02 AM. A mech from the super robot Wars franchise, the alt esien. I'm on vacation but I'll be back in a few days and have another crisis box already waiting for me, so expect more fun battle suits soon. Edited by TURBULENCE, 12 September 2018 - 11:25 PM.